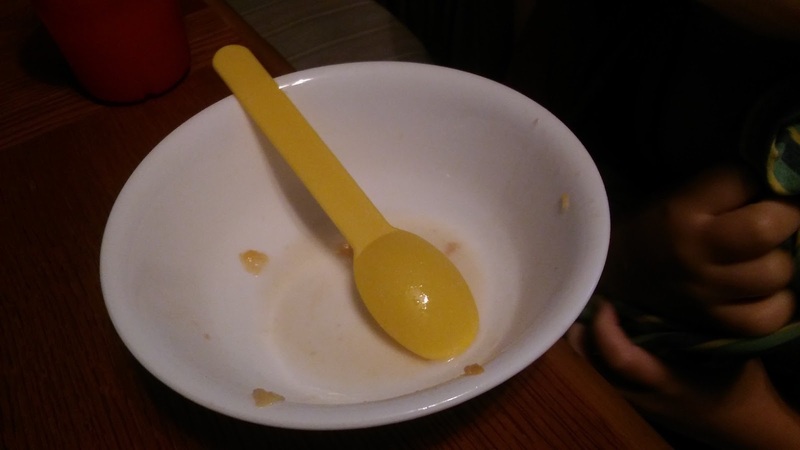 My daughter has an annoying habit of switching spoons with her sister whenever you give her a meal. It's harmless really, so I let it go on. But it has turned into an almost mealy routine (is "mealy" a word? Every meal). Today, her sister was still sleeping so we ate breakfast together and she asked to switch spoons with me. I wouldn't let her, mostly because my spoon was too big for her mouth and I didn't want her little plastic one, but also because I think it could be the beginnings of a contentment problem. Call me an extremist, but I guess I'm always thinking things are a bigger deal than they really are (just ask my wife). But the idea that whatever I give her is not enough tells me that this could be an issue later on. I know this because I have the same problem, struggling with contentment even in the best of circumstances. They often say things like, "I wish I was ______." Fill in the blank with whatever we are watching or near others doing: riding a horse, eating pizza, wearing a Disney princess dress. I always reply with, "Be happy where you are, doing what you're doing." Sometimes it is even more involved, delving into the realm of identity or personal effects: "I wish I was five years old," or "I wish I had curly hair." And I say, "Be happy at the age you are," or "God gave you straight hair, enjoy it." I guess we're fighting against human nature here, so maybe I shouldn't get so down about it. But really I think I just want to be proactive about instilling contentment in my children, because I don't want them to struggle with the same things I do.